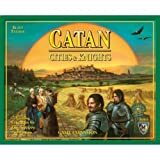 A review of the different expansion packs available for the hugely popular Settlers of Catan board game. 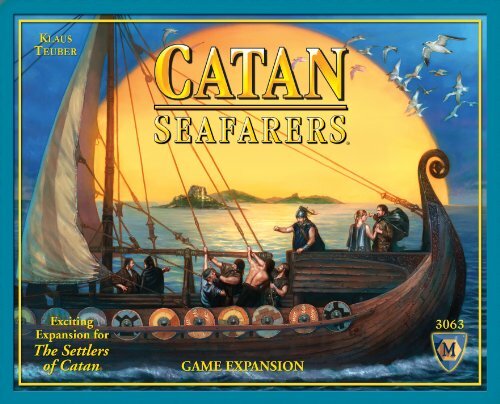 Settlers of Catan has become immensely popular in recent years, joining classics such as Monopoly and Clue as a firm family favourite (we actually like it better because of the flexibility of the game and the fact that no-one is eliminated before the end). But after a year or so of playing even the most varied game needs a little bit of spicing up and that's where the three expansion packs come in. I'm going to assume that readers are familier with the basic game (if you've never played it then don't wait any longer - it's fab!) and talk about the extensions only. Each one adds something a little different to the gamplay and they are all well worth getting into. This extension takes the original game a little bit further and makes it a little bit more complex to play (but don’t panic - it’s really not that difficult to learn!). The Knights and Cities of the original game are developed further – knight now become active in the game and cities can be improved. These tweaks, alongside the threat of attack from barbarians and the additional benefits to be gained from trading of resources add just enough to make this game a little bit more interesting without over-complicating it – perfect for mixed age family groups who would like a more challenging game without alienating the younger members. The Traders and Barbarians expansion is a little bit different to the others in that is has several different scenarios to play to. There are extra ‘characters’ (including traders, barbarians and desert nomads) and a little bit more of a story to follow as you play. The original Settlers of Catan works with two players, but not well (it’s a 3-4 player game so this was to be expected). I’ve tried it a few times and the game never felt as satisfying as it did with three or more. 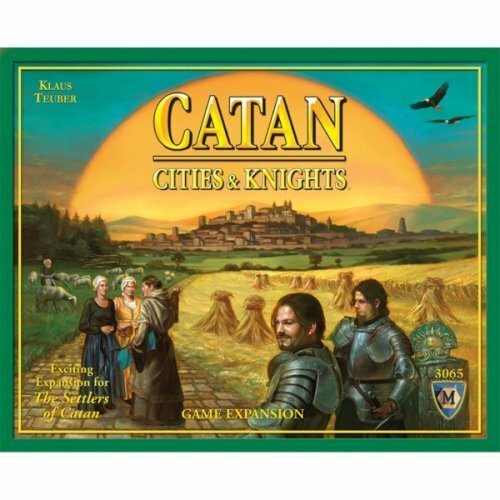 The good news is that some of the scenarios in Settlers of Catan Traders and Barbarians are suitable for two person play - in fact, this was the main selling point for me! Worth buying after the other two, unless you particularly like a two player game in which case this might be perfect for you. The great thing about these expansions is that they all offer something different. 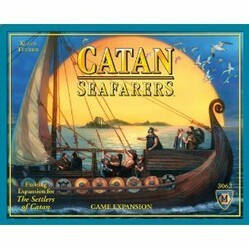 The main feature of Seafarers is the option to expand the map outward, using ships to explore beyond the boundaries of Catan. Like the other two packs it adds a lot to the game without making it complicated – all three expansions are fairly easy to learn and start playing. There is also the option to play with more than one pack at once – though perhaps only for experienced players! Which is your favourite Settlers of Catan Expansion? T-shirts, mugs, and other custom-made and customizable products that chess players of all ages will enjoy. You can also make your own mug or T-shirt.